The multi-trillion dollar insurance industry hasn’t been a new idea for our society. The insurance companies benefit from the premium they get while the policyholder gets coverage of his loss at the time of need. But the centuries-old insurance industry is expensive, slow, and fraud-prone. It takes a long while to get the matter solved between insurance companies, adjusters, witnesses, other intermediaries, and it takes dozens of phone calls, hours of effort and weeks before the claims process gets completed. The frauds lead to a massive loss for the insurance company. The Annual loss for property and casualty insurers due to fraud is about $34 billion while the health insurers lose something ranging from $77 billion to $259 billion per year. The intriguing potential of the blockchain can disrupt the insurance industry and change the way we share data, process claims and prevent fraud. The technology can completely transform the way insurance companies function and make the process less complicated and time-consuming. But how will blockchain disrupt the insurance industry? 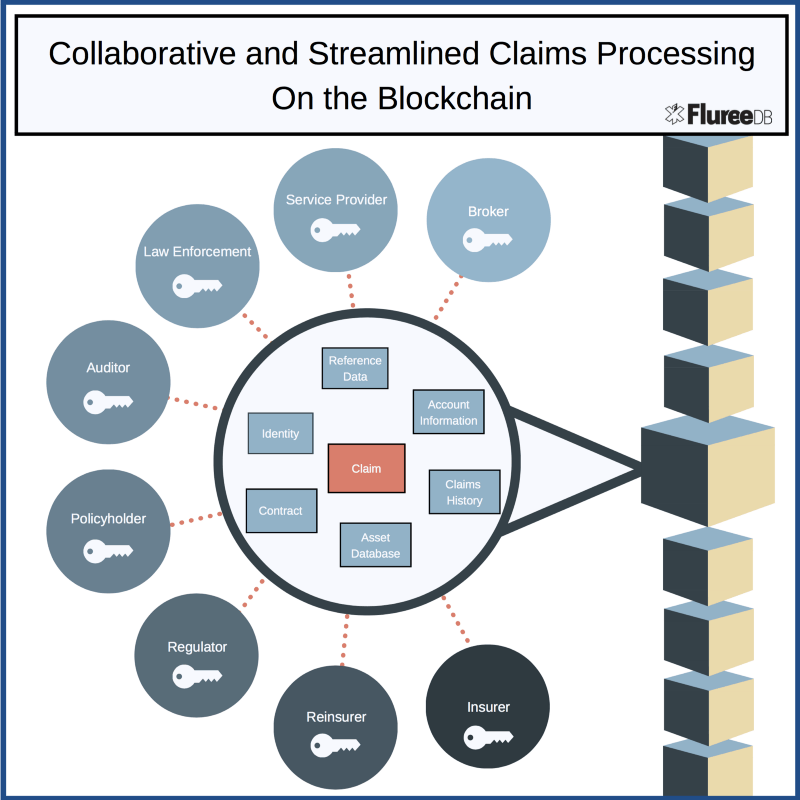 Though the technology is still in the developmental phase, blockchain platforms could help streamline and potentially automate insurance claims by reducing reliance on all the intermediaries involved in an insurance claim. The current financial system suffers from distrust, the erosion of trust impacts the industry severely. Fake claims are the biggest threat to the industry. Only 17% of California households carry earthquake insurance, even though the likelihood of experiencing losses from an earthquake is high. With such lack of trust, high costs and inefficiency of the insurance industry a large part of target customers remain out of reach, leading to the extraordinarily high levels of underinsurance. The data released by FBI states that the total cost of insurance fraud (non-health insurance) is estimated to be more than $40 billion per year. According to the statistics of The Economic Times, about 85%-90% of life insurance frauds, fall in the bracket of Rs.1 lakh to Rs.10 lakhs. These statistics are a grave alarm for the gurus of the Insurance industry. 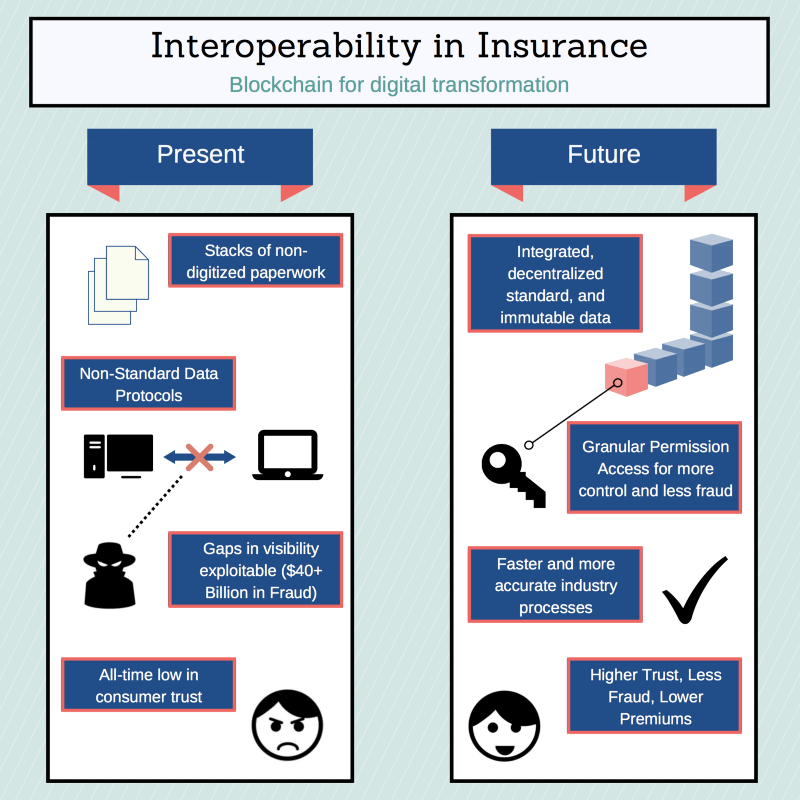 Blockchain implementation can be a solution to lack of interoperability within the insurance industry which reduces efficiency and also hinders progress towards the digital collaboration required to identify patterns, trends, and known actors in preventing fraud. The characteristics of the blockchain database like immutability and decentralisation will help to validate the authenticity of claims, customers and the transactions involved in the process. The insurers will be able to identify duplicate transactions for preventing fraud and processes involving multiple currencies would be streamlined, and discrepancies eliminated. Also, the detection of tampered documents and false term plan claims are less likely to be ignored. The current system is incompetent as processing a claim requires complex coordination among the participants based on well-defined business workflows. These parties may not be trusted, and intermediaries can also add friction and bottlenecks. The solution to this problem is Decentralized workflows using blockchain applications. The cryptographically secure protocols used in the blockchain technology would let counterparties safely transact with one another without relying on trusted intermediaries. Thus all copies of the blockchain ledger will be in agreement and would never be tampered with, in a process called “consensus”; eventually leading to decentralised trust over the network. 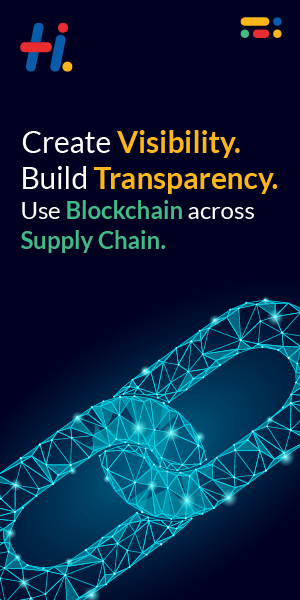 A smart contract would automate coverage confirmation and consequent settlement pay-outs with programmable code — with essentially no human intervention along the entire payment process which can be used by insurers and third parties to digitally access and update data relevant to claims for a faster, more secure, and less error-prone claims management process. The current ‘trust-deficit’ system has alienated the customers as they feel cheated and harassed. The blockchain can revive the whole scenario by ensuring speedy claim processing and instant fund disbursement. The system would permit insurers to receive instant alerts when a tragedy or an accident occurs allowing speedier data routing to third-parties like healthcare services, repair garages, rescue services, police teams, funeral homes, the department of health and the beneficiary. The blockchain system would ensure that insurers be notified of an insured match. Hence the interaction between insurers and policyholders will become more direct during the claim process. The adoption of the blockchain would have a long-term and permanent impact on the future of the insurance industry. As we are in the very early days of exploration and implementation of the blockchain, so it remains a mystery to find out the exact way it will alter the insurance landscape. The future of humanity seems vague without transparency and credibility. The blockchain is not just a technology but a revolution and hope for the sustainable and trust-worthy growth of our society.